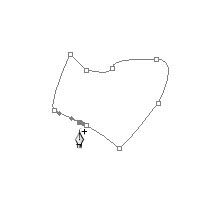 the Path selection tool.With the help of Add Anchor Point Tool , we can edit lines,curves,shapes. 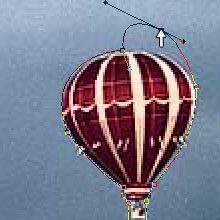 For most users,the Add Anchor Point Tool provides the best control and greatest accuracy for drawing.With the help of this tool, we can edit drawn path. 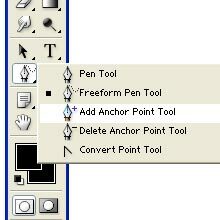 This is the Add Anchor Point Tool.Just onto this tool and click on it to select it. Select the Add Anchor Point Tool and position the pen pointer where we want to add the extra point to edit the already drawn path.After adding the point the tool changes to direct selection tool, with which we can reshape the path. 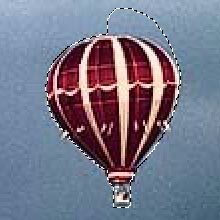 For example,we are having this image which we want to select.Here we can draw with pen tool and after drawing with this tool,we observed that it need some more adjustments. Now we must add anchor point and adjust in this way.Now after adjusting, right click and then make selection.